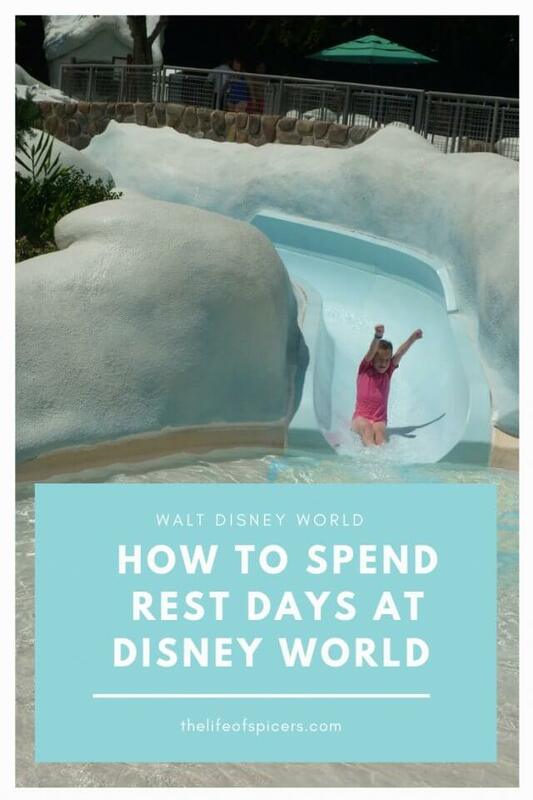 Rest days at Disney World are important when planning your Disney World holiday. Disney parks are huge and there is so much going on that no-one can keep going forever. 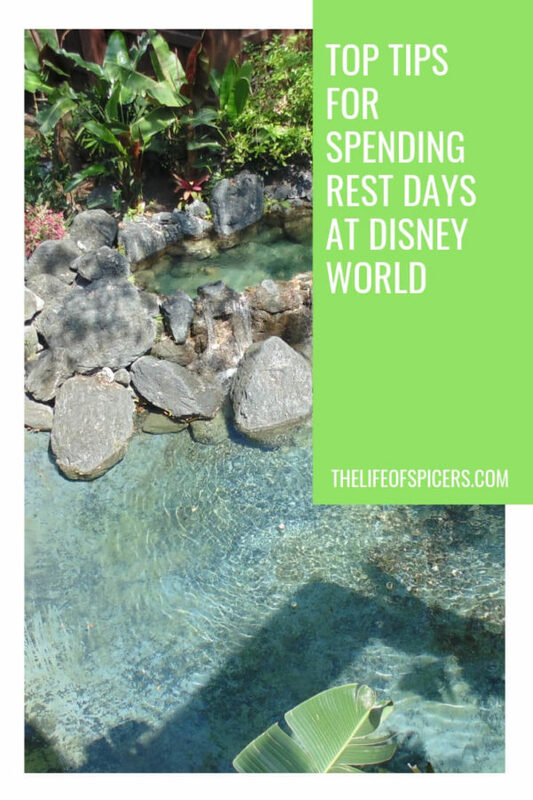 When we plan our itineraries, such as our 10 day Disney World itinerary, we always plan some rest days into it. 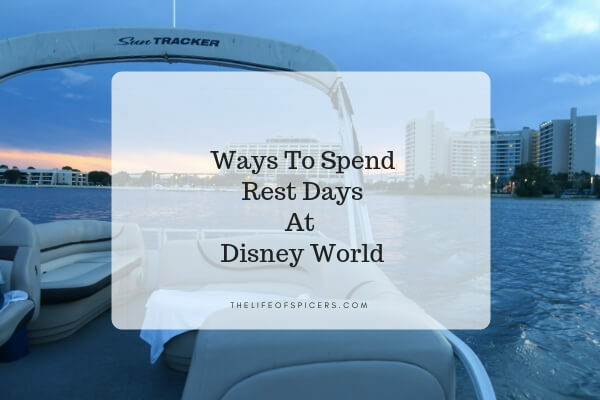 If you’re wondering what to do on a rest day at Disney World, these ideas are a great way to enjoy some rest but keeping the Disney magic alive for your holiday. Disney World have so many amazing resorts, and you can visit them to look around and eat in their restaurants. The only thing you can’t do is swim in their pools unless you are staying there. This is a great way to spend a non park Disney day. Bus to Magic Kingdom, take one of the resort boats to either Grand Floridian and Polynesian Village resort, or the other resort boat to Wilderness Lodge and Fort Wilderness Resort. Bus to Hollywood Studios and then Friendship boat to Boardwalk, Beach and Yacht Club Resorts. 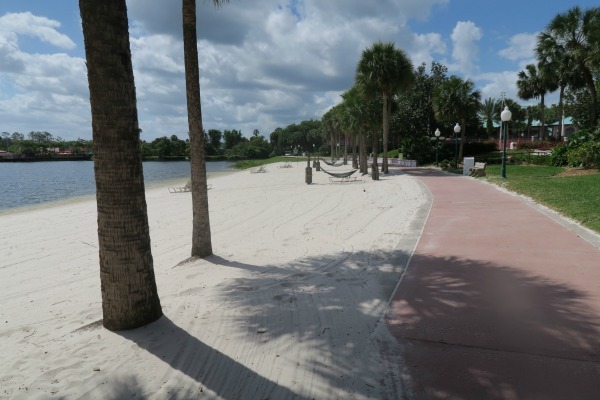 Bus to Epcot and then walk towards the Boardwalk, Beach and Yacht Club Resorts via the International Gateway. If we have a resort in mind that we want to visit then we will often take the first park bus that arrives and then change busses to visit that resort. If you have a car, travelling will be quicker as you can go straight to the resorts. A pool day is a great change to enjoy some rest and relaxation from the parks. If you’re staying in a Disney World resort, then you will often find activities are provided around the pool during the day. This is a great way to keep the kids entertained and enjoy some sunshine and relaxation at the same time. Need to do laundry? 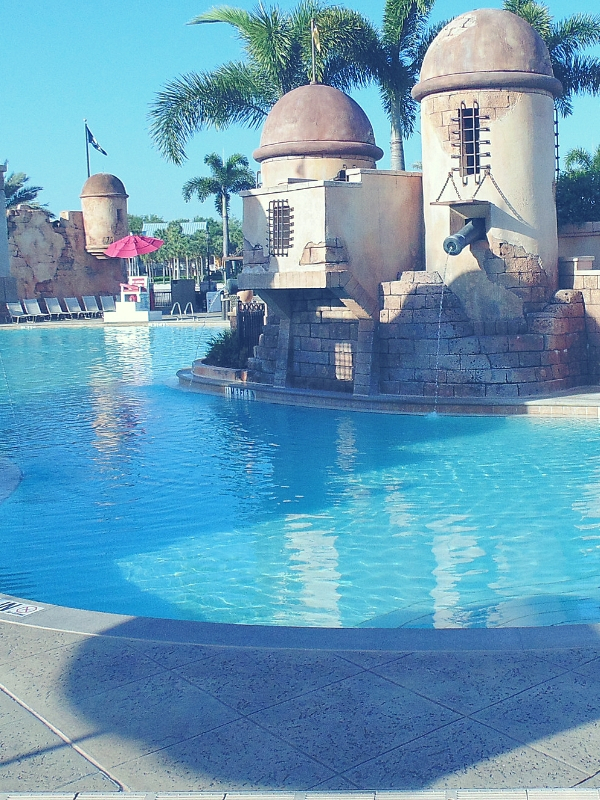 A pool day is a great chance to do this, often Disney resorts have their laundry section near the pool, so we will load the machine, enjoy some swimming and sun bathing, all whilst checking on the laundry periodically. Disney World have two places to visit to play mini golf. The first, Fantasia Gardens which is home to two 18 hole mini golf courses. You can find Fantasia Gardens at Disney Swan Resort in the Epcot area. The second is Winter Summerland Mini golf at Blizzard Beach. Enjoy some great winter theming in the sunshine whilst you play two different 18 hole adventures. If you’re wondering if Mini Golf is included in your Disney tickets, then I can tell you that if you are from the UK and have the ultimate ticket which gives you access to all four Disney parks and both water parks, then you can play one round of golf before 4pm included in your ticket price at either venue. Other ticket options include free mini golf so check your tickets before travelling to see if you have it included. 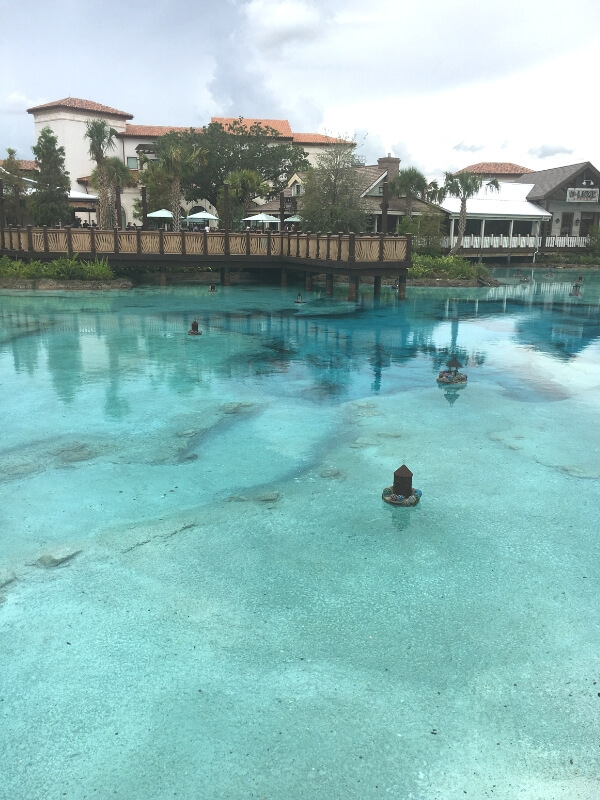 Disney Springs is a great place to visit when enjoying rest days at Disney World. I would avoid going during the weekend as this is the busiest time at Disney Springs. You can enjoy some shopping, plenty of places to eat and enjoy the views of the springs. Disney Springs changes each time we visit, so there’s always something new to see and do. I can’t visit Disney Springs without going into World of Disney and the Christmas shop. 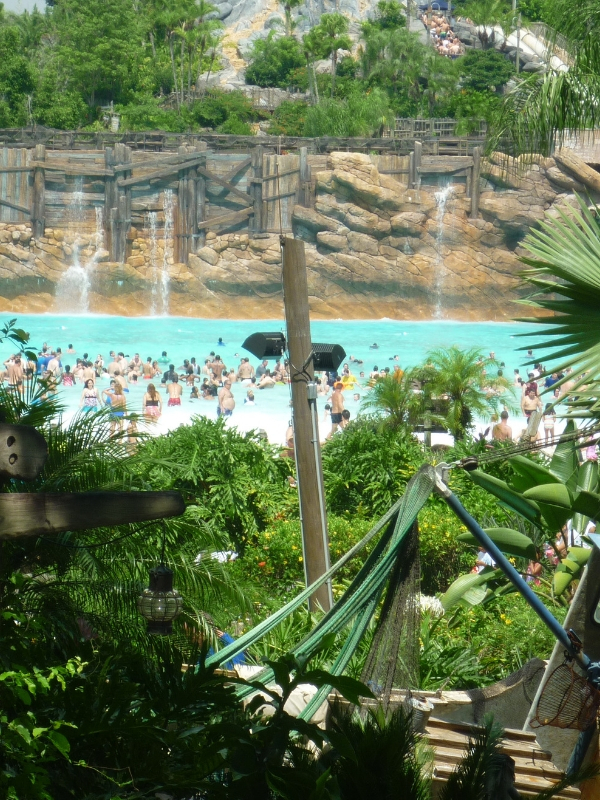 Both Disney water parks, Typhoon Lagoon and Blizzard Beach are great places to visit. They can be as relaxing as you make them. We love to arrive at either water park and spend hours on the lazy river. This is such a great way to spend a few hours floating around the river on an inflatable tube. If water is your thing, you can rent a variety of different boats from Disney resorts and spend some time out on the water enjoying the views. A 2 guest sea racer will cost in the region of $32 for half an hour, up to a 10 seater sun tracker which costs in the region of $45 per half an hour. You may also want to enjoy a speciality fireworks cruise. We loved ours when we set sail from the Contemporary resort.